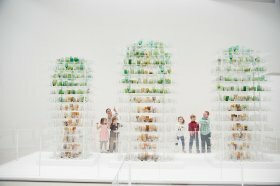 Join us for CMoG Nature Adventure! Let’s explore the biodiversity of our community. Come along on guided nature walks and discover what’s living and growing around the Museum. Photograph trees and wildflowers. Inspect an insect. Use glass to investigate the world around you. Take a peek through binoculars while birdwatching. Search for tiny tardigrades with a microscope.